If you are planning to visit the country of Egypt on your next trip, you may need more than just your U.S. passport. Visas are required to cross international boundaries for short-term visits and temporary or permanent relocations. If you are a U.S. citizen attempting to obtain a travel visa to Egypt, you must present your valid U.S. passport along with your visa application to the Port of Entry embassy upon arriving at the international terminal. The two types of visas required for U.S. citizens to travel to Egypt are tourist visas and entry visas. All travel visas requires proof of a valid U.S. passport and can be obtained at Major Ports of Entry prior to reaching the airport or dock if traveling by airplane or water transportation or ahead of time from the Travel Documents, Immigration and Nationality Administration (TDINA) located in the United States. Most travelers will obtain their visa upon entry into Egypt; flight attendants or boat staff will hand out visa applications before landing or docking in Egypt. What Documents Are Needed for Travel From Washington State to Canada? Tourist visas are for a maximum period of three months and granted on a single- or multiple-entry basis. For travelers entering Egypt through the South Sinai area and staying in the South Sinai resort area, a free 15-day visa can be obtained the Port of Entry, such as airports, marine harbors and overland entry posts. For travelers entering elsewhere into Egypt, a 30-day visa can be obtained upon arrival for $15 from the designated Port of Entry from the TDINA. When entering Egypt for purposes such as work and study, an entry visa is required for any U.S. citizen. U.S. citizens arriving to Egypt for work purposes must obtain a work permit and work visa from the Ministry of Manpower and immigration offices in their district or through the employer before arrival. If you are changing your tourist visa to a entry visa, you have three months to change the status on your visa. Your entry visa is also needed to complete the residence procedure for housing while working or studying in Egypt. Paul Lin has been writing professionally since 2010. He has written scripts for the National Science Foundation and short films that have won awards at film festivals. His knowledge of broad topics along with visual scriptwriting allows him to write articles that brings words to life. Lin holds a Bachelor of Arts in scriptwriting from the University of North Texas. Lin, Paul. "Visa Requirements for U.S. Citizens Traveling to Egypt." 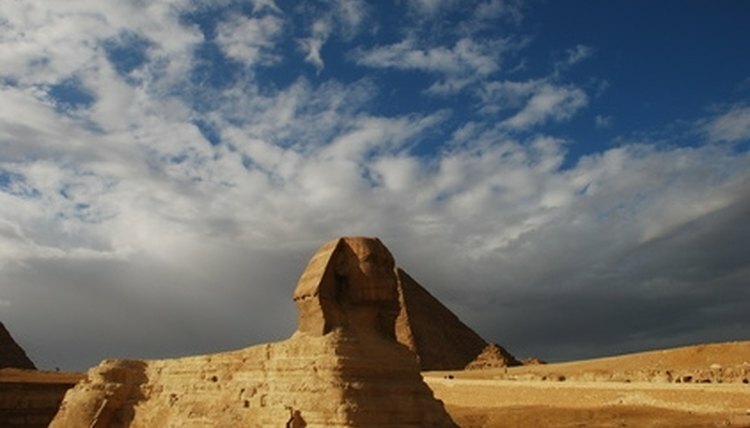 , https://legalbeagle.com/7734604-visa-requirements-citizens-traveling-egypt.html. Accessed 19 April 2019.